Kushagra is a leader relentless in pursuing excellence and finding new challenges within the fields of solar and renewable energy. With his insights and expertise, he has, as Founder Chairman, played a significant role in shaping Surya Source’s brand image and enhancing the company’s profile. 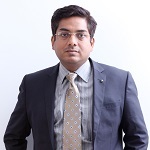 He has guided company strategy, project execution technology and engineering to carve a niche for Surya Source as a resounding force in the market. Under his able guidance, Surya Source has delivered pioneering end-to-end solutions for domestic and international markets. From scaling up the company’s capacities to taking on complex solar projects, he has brought focus to the philosophy of minimising Levelised Cost of Energy (LCOE). 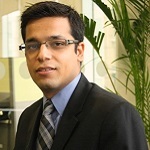 Kushagra is a seasoned solar expert, having worked with major solar companies like SunPower, GE, SunDurance Energy, etc. Kushagra has also played a variety of roles at New Energy Options, Inc., AstroPower Inc. (currently GE Energy) and the Center for Sustainable Energy at the University of Massachusetts. He is a Lifetime Member of the Solar Energy Society of India. He was a member of the interconnection group at the Mid-Atlantic Solar Energy Association assisting New Jersey’s Board of Public Utilities to help define United State’s solar policy implementation. Marriz has a strong forte in sustainable development and renewable energy. He has been a part of many national programmes boosting agriculture in the Philippines. He is equally passionate about renewable energy and has channelled his industry experience and efforts towards making solar energy accessible. 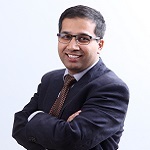 With his immense knowledge and experience, Marriz, as Founder-President & CEO has guided Surya Source in every aspect from technology, engineering expertise and project development capacities to complex executions, since its inception to its current stature. He is also the President and CEO of Tamoin Industrial Services Corporation, General Manager of Xavier Sports and Country Club Board, Director of North Kitanglad Agricultural Development Corporation, Former President of Philippine Agricultural Development and Commercial Corporation (PADCC), former Vice President of A Brown Company, Inc., former member of National Renewable Energy Board (NREB), and a former member of National Biofuels Board (NBB). Adarsh is known in the solar industry as a spirited powerhouse, overflowing with ideas for the future of clean energy. His deep involvement and experience of over a decade in engineering and commercial roles in developing solar projects have earned him a distinct reputation. He is a keen follower of solar technology and has been a part of many successful solar journeys with various companies across continents. Adarsh has, in his role as a Co-founder and Board Director of Surya Source Energy, helped the company create a niche for itself. He has developed innovative business models and project development approaches. His key skills come to the fore in spurring financial and capital related efforts and crafting long-term strategies. He has been instrumental in forging a wide network of like minded people passionate about the solar industry, including vendors, suppliers, partners, etc. Having worked with leading solar entities including the US based Solectria, GE, DTE Energy, Booz & Co. and Konarka Technologies in India, he brings a wealth of knowledge and expertise that have shaped Surya Source Energy into the Philippines’ leading solar EPC service provider. Adarsh is a Lifetime Member of the Solar Energy Society of India. 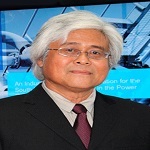 Melburgo, the Chief Technical Officer and Founder of Surya Source Energy, is a power industry veteran with decades of experience of the energy market. He has served with many major boards and organisations in Philippines. He has been an avid follower of trends and technology in renewable energy and has worked tirelessly to make solar, the windfall energy choice of the world in future. 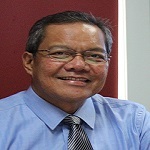 He is also Chief Technical Officer at Tamoin Industrial Services Corporation, President of Isla de Fuego (Energy, Island Power Generation), Former Senior Vice President at National Power Corporation (SPUG, Island Generation), Former Senior Vice President of SPC Corporation, and Philippine Expert in Island Power Generation, Hydroelectric Power Plants, Diesel Power Plants. Deepak is experienced in energy sectors of multiple Asian countries including India, Nepal, Bangladesh and the Philippines. He is currently focusing on South East Asia region and leading all aspects of solar PV project development cycle including policy and regulatory support, technical due diligence, financial analysis and structuring, project implementation or EPC and operation & maintenance. He has been overseeing development and conducting technical due diligence of utility scale solar projects in South-East Asia along with implementation of rooftop PV projects in the region. Deepak is an Engineer from Manipal University with an MBA in Power Management from a Ministry of Power’s National Power Training Institute, India. Deepak also has a post graduate certificate course in Public Policy from University of York, UK. He is also the ‘Lead Author’ of solar chapter of World Energy Resources Publication 2016, launched in Istanbul at the World Energy Congress 2016.